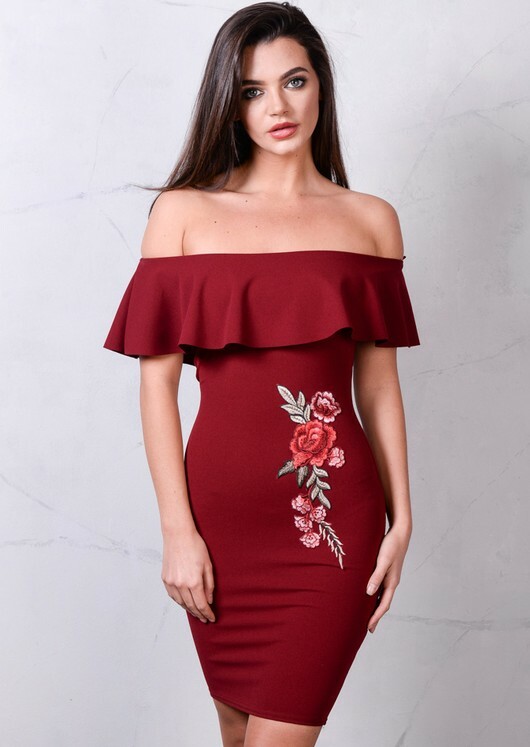 Be a trend setter this season and update your party wardrobe with this beautiful simplistic floral embroidered off the shoulder frill bardot dress. 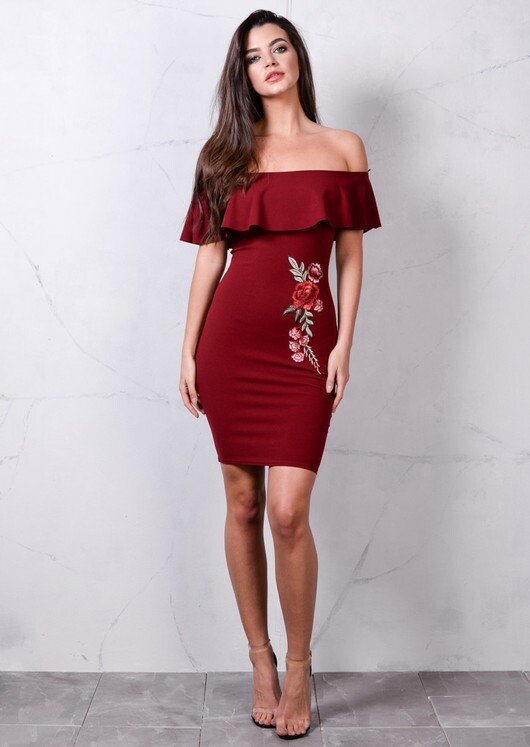 Featuring a bodycon silhouette, and elasticated frilled off the shoulder detail. Pair with some barely there heeled sandals and your ready to go!